Kim Davis, the Kentucky clerk who refused to issue marriage licenses to gay and lesbian couples, lost her re-election bid on Tuesday. According to CNN, Democrat Elwood Caudill, Jr. defeated Davis by more than 650 votes. Caudill told CNN affiliate WKYT that Davis had called him to concede. “She congratulated me, told me we done a great job, and I thanked her, told each other we loved each other,” Caudill said. Davis became a Christian celebrity when she refused to obey the Supreme Court's June 2015 ruling that found that gay couples have a constitutional right to marry. 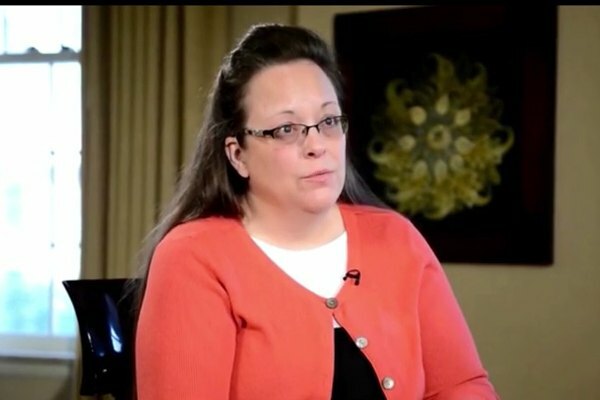 She told David Ermold and his now husband David Moore that her office was not issuing marriage licenses to gay couples on the “authority of God.” Davis served five days in jail after she was declared in contempt of court for ignoring a court order requiring her office to begin issuing marriage licenses to all couples. Ermold, who teaches English at the University of Pikeville, attempted to unseat Davis, but lost the Democratic primary to Caudill. Davis, who has worked in the clerk's office for nearly three decades, was elected county clerk in 2014 as a Democrat, but has since switched her registration to Republican.